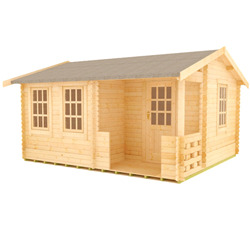 Many of our garden buildings are available in this section of 12x16 log cabins. 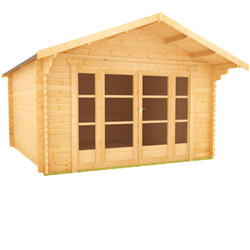 These cabins are all manufactured from superior grade, 44mm thick logs, meaning that they are perfect for use year-round. With a great range of styles available and with quality that you can rely on, a Tiger log cabin is always the perfect choice.